Among the first crop of affordable Android KitKat handsets in India was the Lava Iris X1 which ships with a premium-looking design and an array of attractive specs. Priced at Rs 7999, this smartphone used to ship with 4GB of onboard storage which has now been doubled up by its maker; a move that is sure to disappoint all those who’ve already bought it. Lava has announced that all the models of the Iris X1 will start shipping with 8GB of onboard storage. The company is particularly happy with this product thanks to the fact that it occupies 30 percent of the overall sales from its portfolio. While the storage space on the handset has seen a change now, there is absolutely no other alteration to its other components. Over and above the 8GB ROM, you will still get the provision to push in a microSD card of up to 32GB moreover. The Lava Iris X1 bears on its front a 4.5-inch FWVGA display and runs the Android 4.4.2 KitKat OS. This phone features an 1800mAh battery as well. 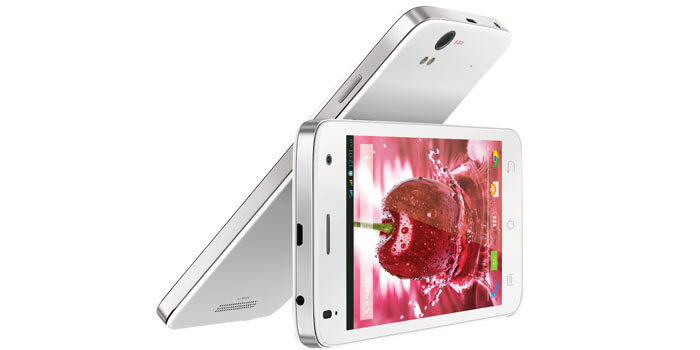 It is fueled by a 1.2GHz quad core processor from Broadcom which is assisted in its operations by 1GB worth of RAM. AN 8MP camera sits pretty on its rear surface, whereas a 2MP selfie unit can be found on its front as well. It has been revealed that all online and offline channels which were selling the earlier model of the Lava Iris X1 will begin offering its new 8GB version soon.